A Therapist's Guide to EMDR reviews the theoretical basis for EMDR and presents new information on the neurobiology of trauma. It provides a detailed explanation of the procedural steps along with helpful suggestions and modifications. Areas essential to successful utilization of EMDR are emphasized. These include: case conceptualization; preparation for EMDR trauma processing, including resource development and installation; target development; methods for unblocking blocked processing, including the creative use of interweaves; and session closure. Case examples are used throughout to illustrate concepts. The emphasis in this book is on clinical usefulness, not research. 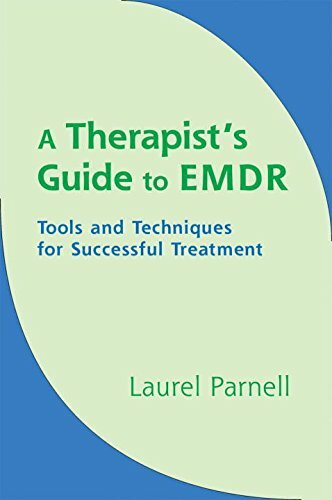 This book goes into the therapy room with clinicians who actually use EMDR, and shows readers how to do it in practice, not just in theory. In short, this is the new, practical book on EMDR. If you have any questions about this product by W W Norton Company, contact us by completing and submitting the form below. If you are looking for a specif part number, please include it with your message.